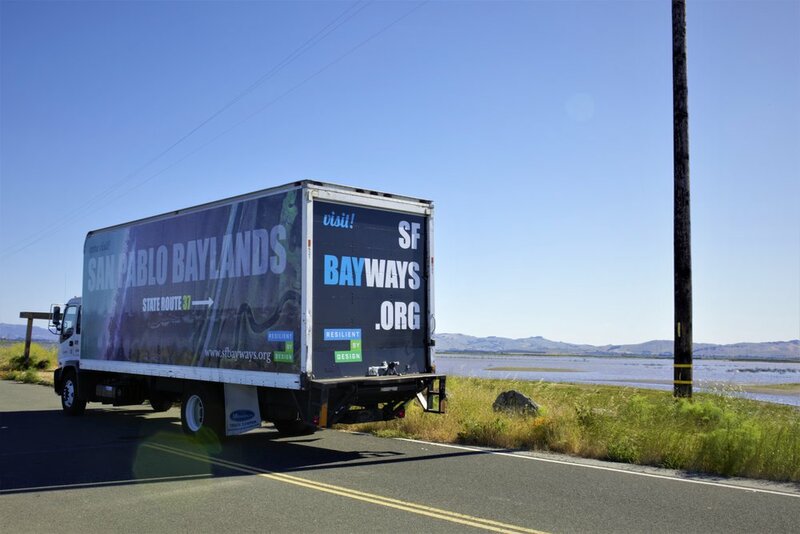 Billboards displayed messaging orienting SR37 drivers to the baylands and ecological resilience. The idea evolved out of renting static billboards along SR37 to promote resilience and the Common Ground project. The team instead rented mobile trucks with custom billboards to drive across SR37 and park in strategically visible locations. Billboards are a way to raise awareness with a broad group of people.